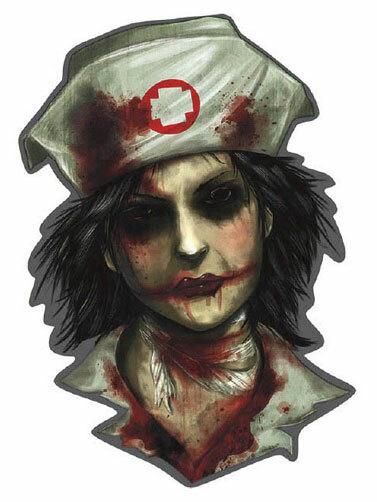 This scary Asylum Nurse cut out will be a great addition to your haunted asylum. Vibrant glossy image of a bound and bloodied nurse, who is a victim of the madness that surrounds her. Printed on both sides of sturdy paper cut-out paper. Reusable. Hang with tape or sticky tack, sold separately. Asylum Nurse Cut Out measures 10"H.